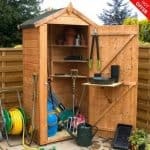 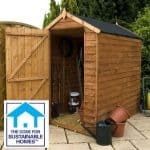 For those of you looking for the ultimate in sheds look no further! 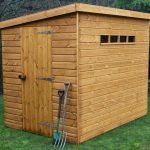 The BillyOh Ultimate 8 x 6 shed with windows is we believe, a superb premium shed, so good you will want to stay in it all day! 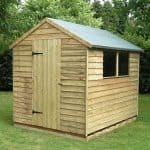 With a choice of tongue & groove, overlap or rustic overlap it really is one of the very best sheds you can buy. 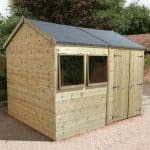 It also adds a charming touch to any garden and is spacious inside with plenty of room for storing all of your garden paraphernalia. 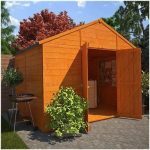 The window feature gives you the ability to admire all your hard work in your garden from the inside and the large double doors make it easy for you to bring big pieces of equipment or furniture inside or out. 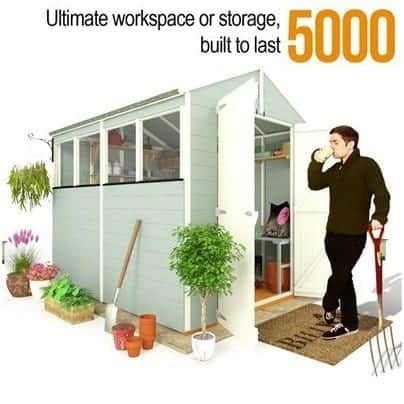 This is built to last so you can be sure of a long term investment when you purchase the BillyOh Ultimate.